The ROM SAF Level 3 climate data describe the monthly mean state of the atmosphere in the form of zonal averages, i.e. averages over all longitudes in 5-degree latitude bands. The range of data products includes both RO-specific variables (bending angle, refractivity) and common geophysical variables (temperature, humidity, pressure), which are bundled with associated data (standard deviations, error estimates, data numbers, etc.). The RO-specific variables are more suitable for climate studies requiring a high degree of long-term stability, whereas the common geophysical variables provide a separation of temperature and humidity effects by the use of additional a priori information. Since 2001, many satellite missions have studied the atmosphere using RO techniques (CHAMP, GRACE, COSMIC, Metop, etc.). Data from several of these missions are processed by the ROM SAF. Starting with COSMIC and Metop data, climate data sets are produced and released as ROM SAF Level 3 Climate Data Products. Each occultation results in an atmospheric profile (Level 1b and 2 data). 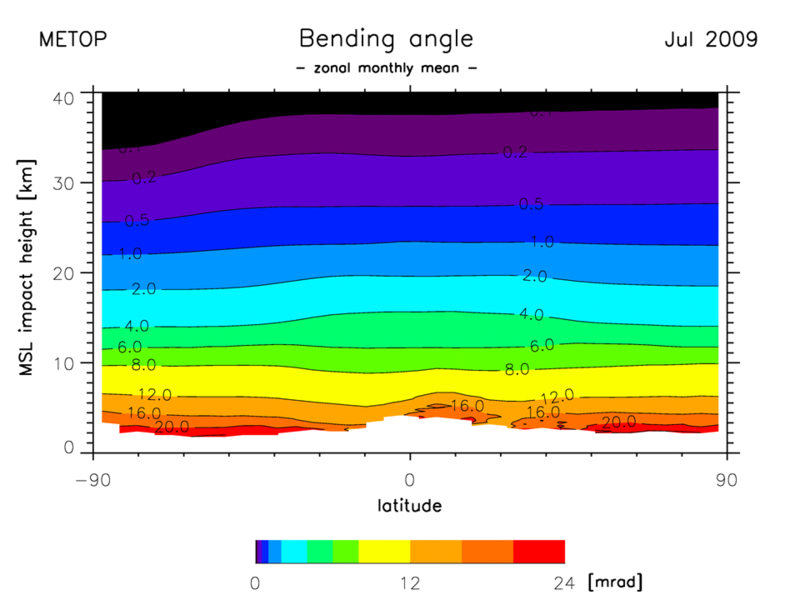 Following a screening to remove invalid data, all occultations that fall into a 5-degree latitude band within a calendar month, undergo a weighted average to produce a monthly mean for that latitude and month. In the moist troposphere, where water vapour contributes significantly to the refractive index, the retrieval of temperature and humidity from the observations requires the use of additional a priori information (i.e. data taken from a climatology or a model). The RO-specific variables (bending angle, refractivity) are less influenced by a priori data, and where the atmosphere is dry, temperature and pressure can be directly obtained from refractivity. 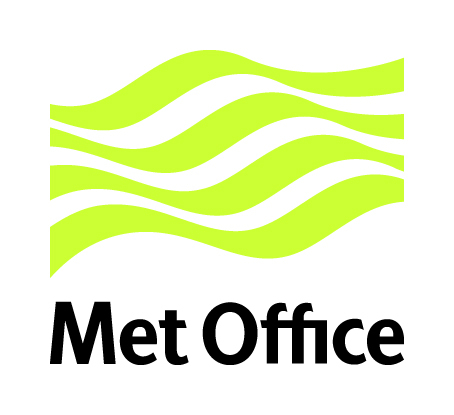 The products are available in numerical form (netCDF) for use in climate research and monitoring, as well as in graphical format (PNG) for those requesting quick-look, easily interpreted data. All climate products are stored in the ROM SAF Product Archive. The accuracy of the product is described in a Validation Report. The ROM SAF Climate Monitoring pages provide regularly updated monitoring of the climate based on RO data, as well as monitoring of RO data quality and processing. The ROM SAF Climate Products are described in the Product User Manual. More detailed descriptions of the methods and algorithms used in the processing from Level 1b and Level 2 profile data to the Level 3 monthly mean climate data, are found in the Algorithm Theoretical Baseline Document.